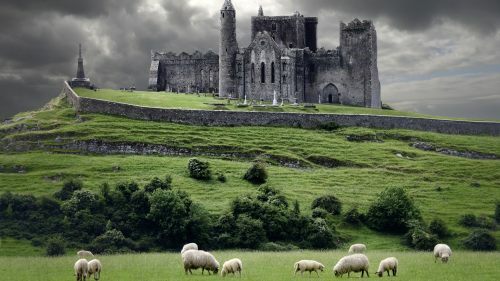 WestJet is selling off their end of season flights from St. John's, Newfoundland to Dublin, Ireland (DUB) for just $430 CAD roundtrip including taxes. Yes, that's about the same price as a flight from St. John's to Toronto. This is a new record for the cheapest flight ever from Newfoundland to Europe. Using a $176 departure date and a $252 return date will give you a roundtrip flight total of $430 CAD roundtrip including taxes. st johns, yyt, westjet, flight deals, europe, western europe, newfoundland, northern europe, dublin, ireland and dub. 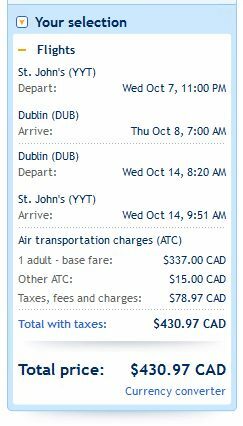 One Response to "St. John's to Dublin, Ireland - $430 CAD roundtrip including taxes | new record"